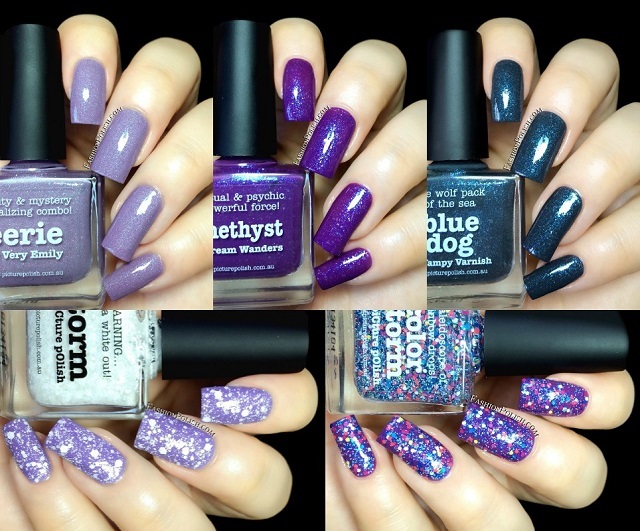 Sooo... Today I have 5 new piCture pOlish to show you, : 3 collaborations and 2 glitter bombs! 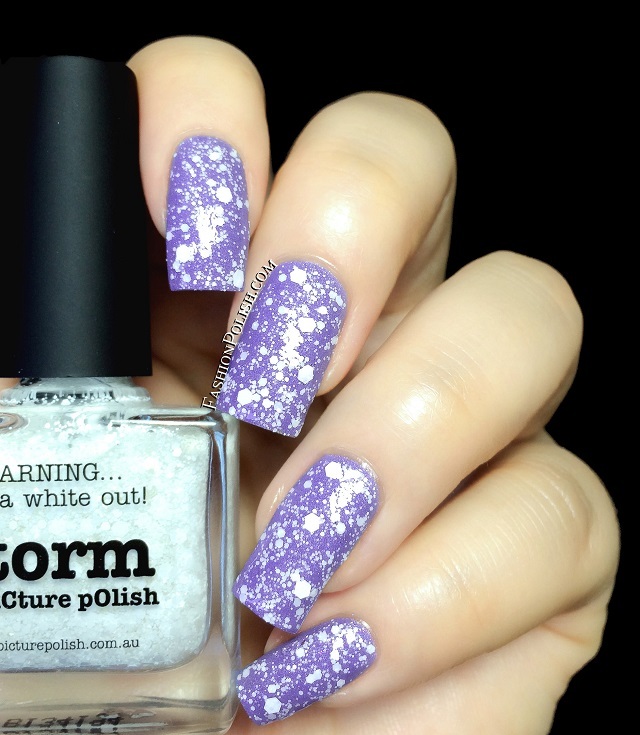 Storm is a heavy mix of matte white glitters : different shapes and sizes in a clear base. Glitter pay-off was excellent and application easy as a breeze. 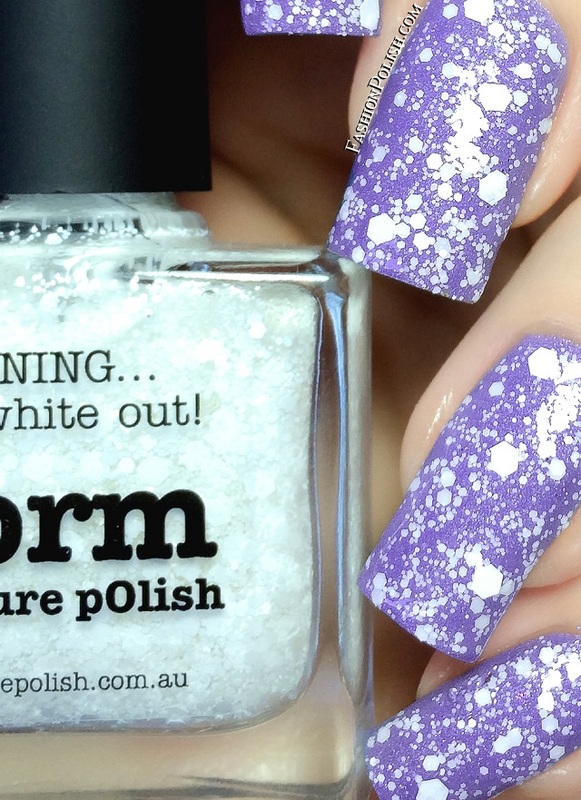 Such a fun and unique glitter combo and such a fitting name, it reminds me of a winter snow storm. I used 1 coat over Eerie. 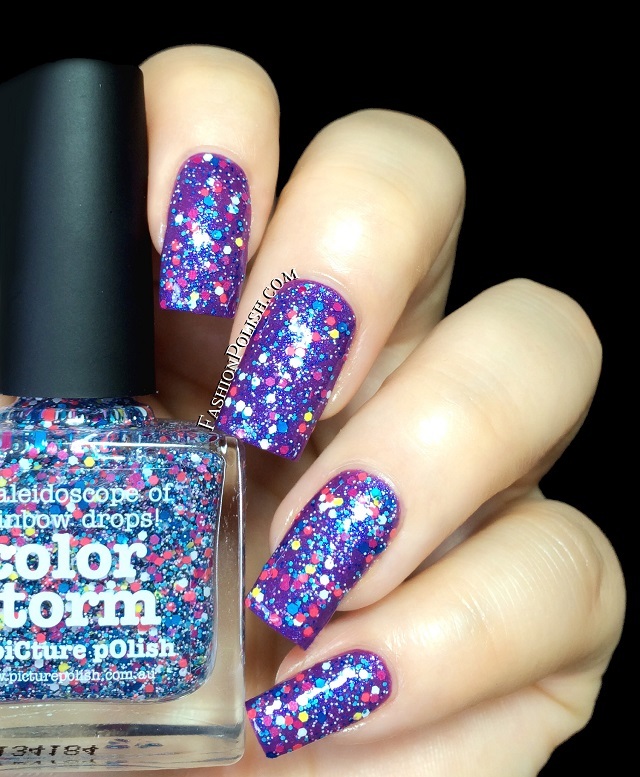 Color Storm is another glitter bomb : matte multicolored pieces in a clear base. 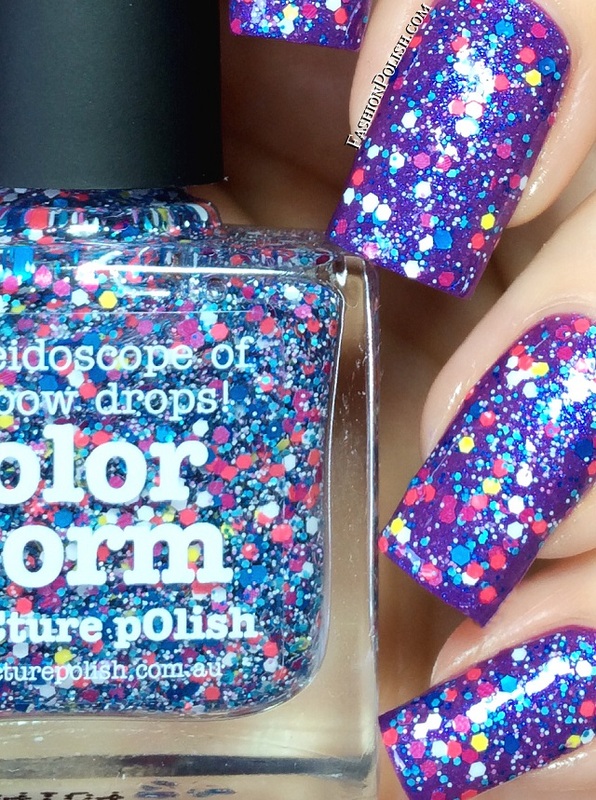 If you love multicolored glitters, you'll love love love this one! Again, excellent coverage and easy application. Show below : 1 coat over Amethyst. Eerie is soft and muted lavender with bijou holo (aka a scattered holo) as well as silver, blue, green and pink shimmer flecks. A beautiful pastel created in collaboration with Very Emily. You can read about Emily's inspiration here. I used 2 coats plus topcoat. 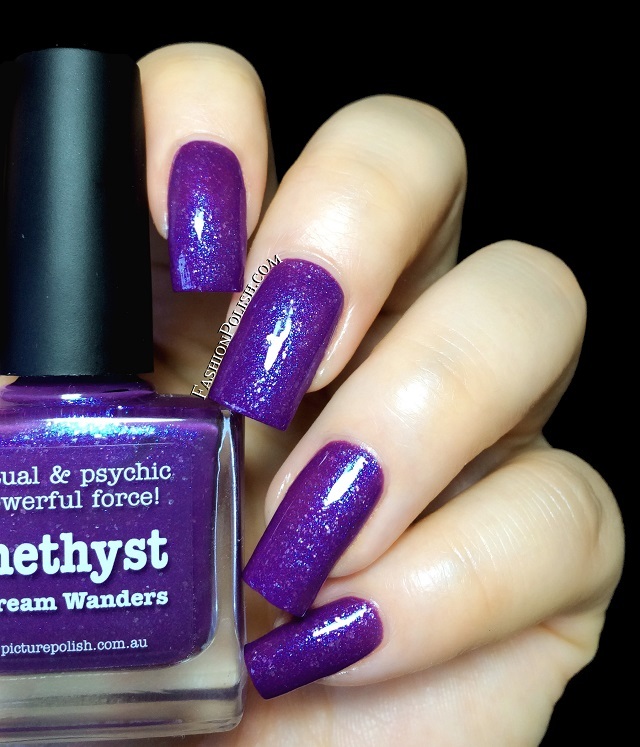 Amethyst is a glorious royal purple with a strong blue shimmer as well as small and thin white flakies. 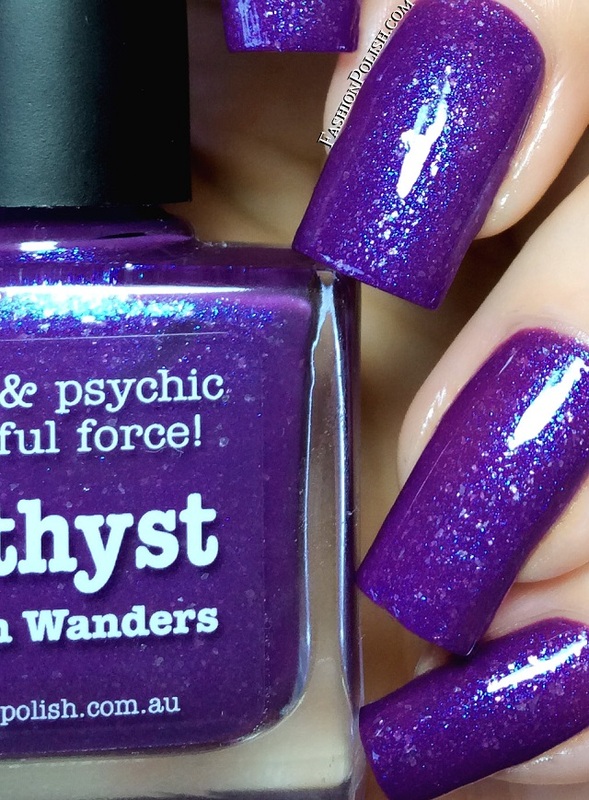 First released in 2012 and just reintroduced, Amethyst was created in collaboration with Susan from Dream Wanders / The Subtle Shimmer. I also used 2 easy coats plus topcoat. 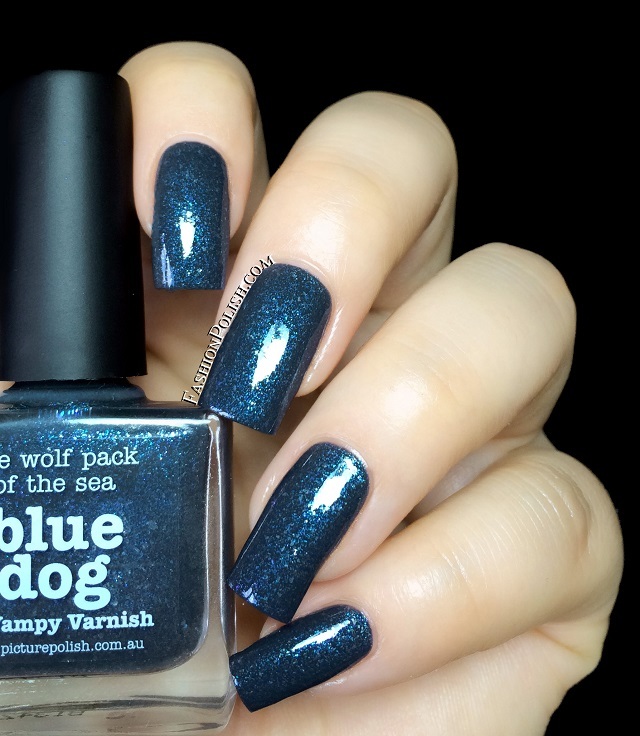 Blue Dog is a dark grey infused with blue/pink color changing shimmers but also a touch of white translucent flakies, perfect in 2 coats, my personal favorite! 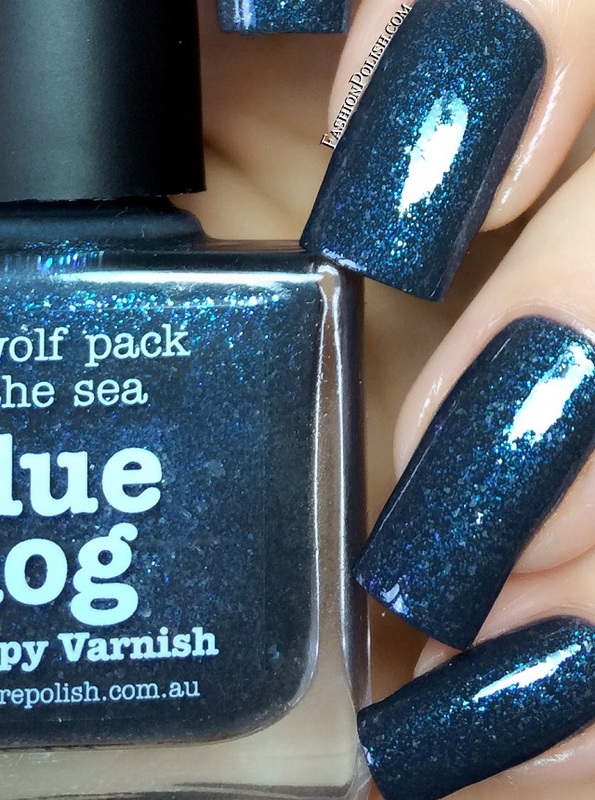 Blue Dog was created in collaboration with Kelly from Vampy Varnish and inspired by a shark's skin underwater. Read about the inspiration behind it here (10% of Kelly's proceeds will go to the Monterey Bay Aquarium Sharks & Rays Research program in California).